Rent a secure self-storage box in Toulouse. – Flexible sizes – you can choose a small or large storage area according to your personal needs using increments of 1m2 (e.g. 1m2 and 20m2 or between 3m3 and 50m3). Your storage unit is well ventilated, fully alarmed and supported by 24 hour video surveillance and smoke detectors. A watchman is on duty 24H. – Located close to the city centre and accessible by public transport. All storage areas are protected from the elements (sun, rain, snow). – Ample car parking is provided in front of your storage unit. We also provide large and small trollies to help you move large and small furniture from your vehicle to your storage unit. – You pay by the day for storage. – Insurance against fire and flood is optional and additional. (see section on insurance). Special, easy-to-assemble, storage boxes are available for purchase on site together with bubble wrap and packaging tape. Please ask for details. Planetebox puts at your disposal, in Toulouse (31), a storage center that will allow you to store your furniture (furniture), objects, professional materials or for the conservation of documents, for a period to be defined according to your needs or your need. Select a storage offer based on box size, from 1 to 20m² maximum. All storage spaces are completely secure: each rental box at our Toulouse site has an individual alarm and unlimited access; the storage center has a fire detection and video surveillance system connected to the guardian’s house next to the site and to a remote monitoring center. The price of the rental depends on the occupied storage space. To facilitate the unloading of your goods in our storage center (storage furniture), a specific area has been designed, you can find trolleys, trucks and pallet truck to transport your goods to your self storage box. A large car park allows you to park your vehicles during your visits, in complete safety. 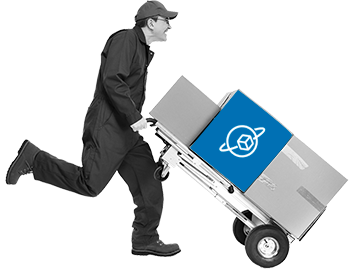 Planetebox, leader of the furniture guard, proposes cartons of removals, on sale on the spot in Toulouse, in small or big quantity, at the best price, enough to allow to organize well your box of storage / self-storage. Packaging equipment is also on sale on site (bubble wrap, adhesives …) … a complete solution to facilitate your move. New: Planetebox offers garage rental in Toulouse, 6 garages are available for rent.